Zimbabwean startup Leaph has launched its ed-tech platform, which uses data science and machine learning to improve academic performance. 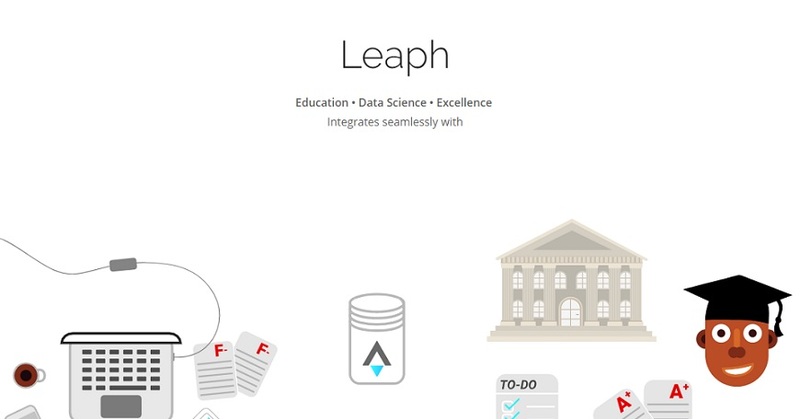 Launched in February, Leaph uses data including quiz, test or examination scores and teacher comments to provide useful analytics to teachers about their students, such as student performance forecasting, student evaluation and subject assessment. “With this data, the teacher can efficiently and effectively perform their jobs to the utmost degree, ensuring our children’s academic performance is all-round exceptional,” Leaph chief executive officer (CEO) Nick Nyaumwe told Disrupt Africa. The academic management platform was built as a result of the team wanting to make education less stressful for students and teachers. “We wanted to create a tool that makes the learning process all the more exhilarating while providing value to every user within this ecosystem, and we did exactly that,” Nyaumwe said. School management systems are not new, but Leaph feels it offers something different to the competition. “The problem we noticed with these systems is that they collect and store a lot of information about the students, teachers and the school, however, this data rests idle within the system,” said Nyaumwe. Launched with funding from friends and family, Leaph has already been granted administrative access to a few customers, who gave positive feedback. “We are confident the rest of the population will love it just as much,” Nyaumwe said.